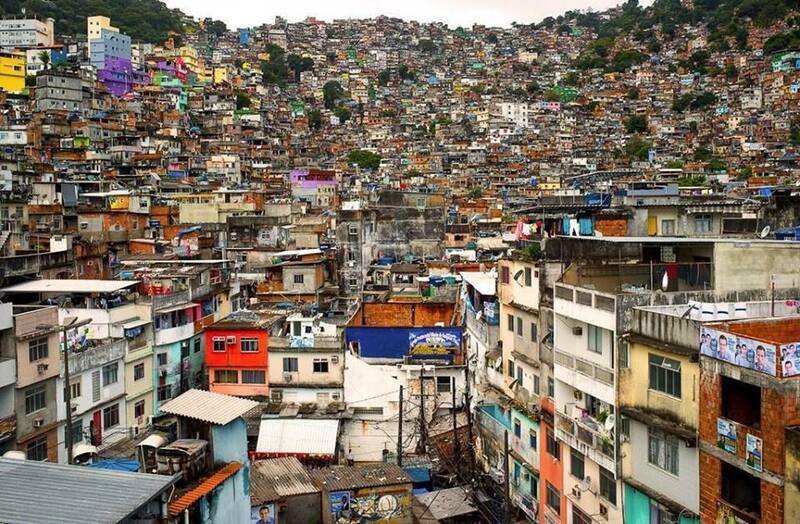 WELCOME TO THE COMMUNITY OF ROCINHA, Brazil's BIGGEST FAVELA! COME EXPERIENCE OUR COMMUNITY with a local guide AND DIG BENEATH THE MEDIA STEREOTYPES. We are a small favela tour company that is operated 100% by residents in the favela of Rocinha. Our company consists of five parts of sustainable tourism in the favela. Our main purpose is to educate people about our community and the great things that exist here. Favelatour.org and FAVELA ADVENTURES strives to empower the people of Rocinha by giving them the opportunity to run, organize and make the tours themselves. These residents who have created this company ALL reside in the favela and the income made from these tours is put directly back into the community. Forty percent of what is earned through our favela tours is being saved so that we can continue to fund our DJ School Spin Rocinha, check out our new website!! We also support a Creche called Refugio e Fortaleza. I recently met up with a group that works with street dogs and cats so we are now helping them. Their organization is called Projeto Flor e Xavier organized by Ruth Silva. Their focus to to help spay and neuter stray dogs and cats in the favela. They are now building a shelter for these animals. As of May 7th, 2018 we opened a new English School called "Rocinha in English". It is run out of a church on the main street in Rocinha. We are receiving volunteers from different countries to help with this project. We are not a volunteer agency but we can help organize for you if you would like to teach here. There are no fees or cost to volunteer. For information about this or other projects, please contact us. ​For complete understanding of the work we do you can read this blog post which explains everything clearly. If you want to know more about any of these projects, how you can help, donate equipment or time, please contact us. HELP US BUILD A COMMUNITY CENTER IN ROCINHA! Learn more about this initiative and how you can help! We often receive emails from people who wish to help out and donate. We do NOT accept money donations but, school or art supplies are more than welcome. We advise that before you decide to make a tour with us, let us know that you have donations and we can try to coordinate a visit for you to distribute the donations. This way, you see exactly where your donations go. ​Check out our link here. We invite you to learn about all the different types of favela tours we offer, which are more of a cultural exchange and enjoyable learning experience, than a short stop into the community. Visits to the community vary in length and type depending on what visitors want to do and how long they want to visit. If there is something you really want to see on your visit here, please let us know. We want your visit to Rocinha to be fun as well! Please read about other guests experiences who came to Rocinha on the TESTIMONIALS page. Our tours/visits are very different from the standard of other companies because all of us that give the tours live here in Rocinha! IMPORTANT: Our Favela Tours book up quickly. Because of the quality visits we offer, we ONLY give 1 tour/visit a day with a maximum of 8 people. If you have a group of more than 8 people, let us know and we can accommodate with more guides. Please view our booking page to learn more about how to set up your tour! Now that we have the Sao Conrado Metro Station just outside of the favela, you can come to us! From Copacabana, its 6 to 7 stops on the metro and is much faster and efficient than trying to reach you by car. By car from Copacabana to Rocinha is about 40 minutes. By metro it's about 15-20 minutes maximum. Our Metro system in Rio is also very safe. ​In our emails to you, we will explain exactly how to get here. We always include photos of the guide who will be meeting you. For any other information or questions, Zezinho can be reached at visitrocinha@gmail.com. We are proud members of Pack for a Purpose, an initiative that allows travellers like you to make a lasting impact in the community at your travel destination. If you save just a few kilos of space in your suitcase and take supplies for area schools or medical clinics in need, you’ll make a priceless impact in the lives of our local children and families. Please click here to see what supplies are needed for our project/projects here in our favela Rocinha.